Jennifer Donovan is here to share about a home organizational system aimed to help kids become more independent and self-reliant. This is a sponsored post, but her opinions are her own. I’ve outlined some of the features about the M.O.M. Method that I love, over in my post at 5 Minutes for Mom about how to teach your kids self-reliance. 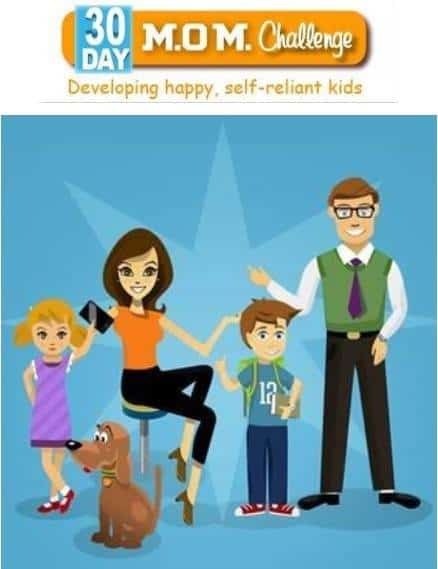 This is universal product that all families can benefit from, although the creators have found a particular niche use as well for kids with special needs including attention deficit/hyperactivity disorder, Asperger’s Syndrome or executive functioning challenges. The time management and task management programs give kids the stability and consistency they seek, and what’s even better, it puts them in the responsible role, removing you from the tough taskmaster position. Find out more information about the M.O.M. method 30 Day Challenge in my post at 5 Minutes for Mom. “It took me four years to paint like Raphael, but a lifetime to paint like a child.” ~Pablo Picasso Welcome to Magic Marker Monday! If you haven’t heard about Magic Marker Monday yet, click here and then hurry right back… The youngest decided to poke fun at Dad’s Christmas decorating aversion this week….